This set includes a total of 15 different overlays intended to be used with photos of couples. They’re perfect for engagement photos, wedding photos, and for Valentine’s Day. The overlays come in .psd and .png format. Just add them to your photos for a simple, elegant decorative element. They can be easily re-sized and colors can also be changed in either Photoshop or Photoshop Elements. 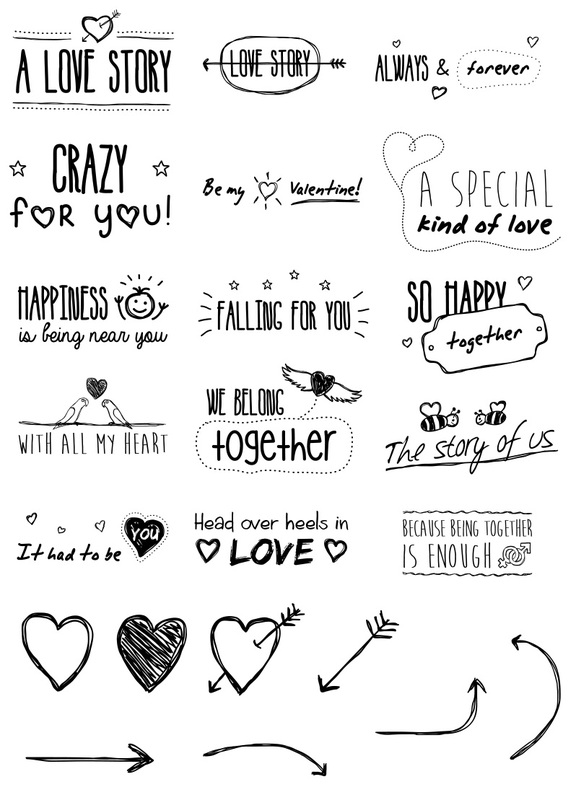 As a bonus, the set also includes 3 heart overlays and five arrow overlays.